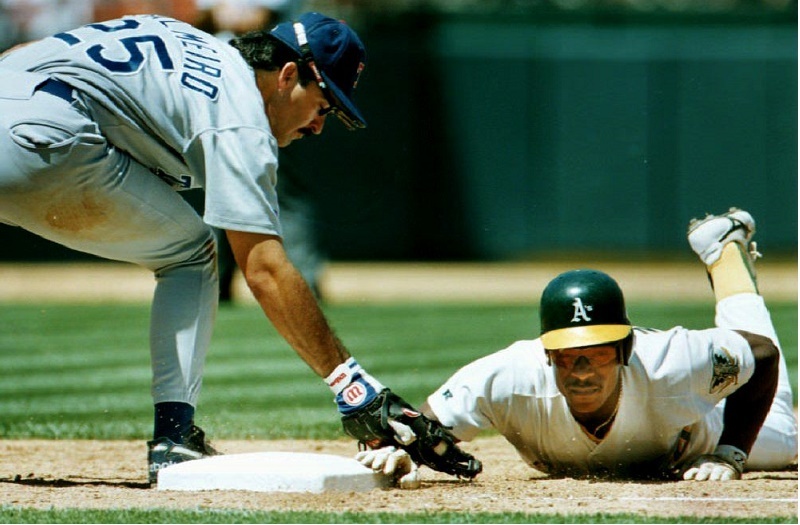 MLB fans often argue that the stolen base is one of the game’s lost arts. As soon as we marvel at Billy Hamilton’s 44 SB before the 2015 break, we lament the fact he can’t steal first base. It wasn’t always that way. Some of the game’s greatest were feared hitters who would wreak havoc once on first base. Imagine the psychological warfare Ty Cobb waged on the pitcher when he stole second, third, and home on three consecutive pitches in 1911. Modern fans got a taste of the terror pitchers of yore felt when Rickey Henderson, the greatest leadoff hitter and most masterful base stealer of all time, plied his trade from 1979 through 2003. When Rickey’s Hall-of-Fame career was over, he had amassed a string of records worthy of the Georgia Peach or Babe Ruth, including 1406 SB and 2,295 runs scored (two records that may never be broken). Throw in 297 home runs and over 500 doubles and you begin to get a picture of his spectacular, unique talent. But stats only tell part of Rickey’s story. Henderson was one of the great showmen of his generation. Between his super-sized ego and unbridled way of speaking, he was the most entertaining person at the park when he played. When he soared, it was “Rickey being Rickey.” In those moments when he failed, Henderson could be overheard reminding himself, “You’re still the greatest, Rickey.” (Henderson never shied away from second- and third-person dialogues with himself.) Add it up and you have to conclude baseball fans were blessed whenever Henderson was around the ballpark. 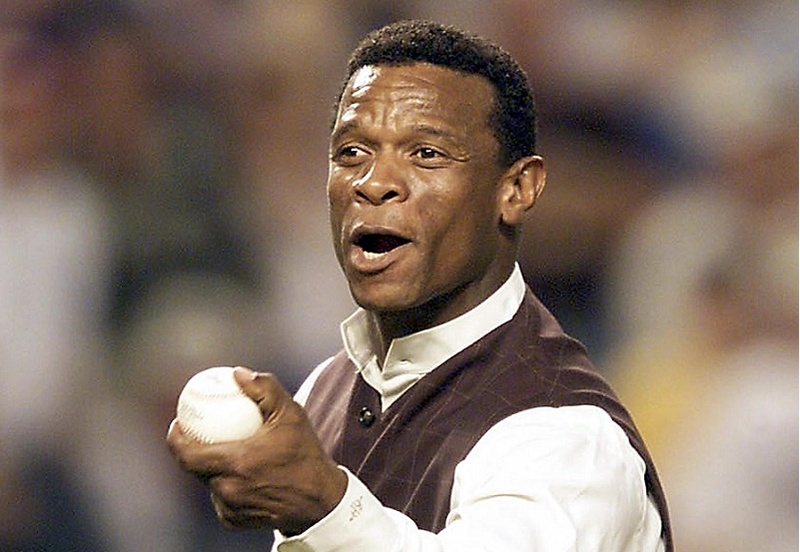 As we continue our tour of MLB history, we flash back to five epic Rickey Henderson moments. Note: Though many brilliant and apocryphal Rickey tales exist, we stuck to stories that could be verified. Henderson was never known for his humble nature, but after the steal that set a new mark in MLB history, Rickey tore third base out of the dirt, raised it over his head, and let the Oakland crowd know how proud he felt. Lou Brock, whose record he had just trumped, was on hand in a dark suit to congratulate Rickey on the spot for his achievement. Then Henderson took the microphone from Brock. “Lou Brock was the symbol of great base stealing, but today I am the greatest of all time,” he said. He racked up another 468 steals after giving the speech, so no one could argue with that claim. You just didn’t expect it with Brock standing at his side. 2. Rickey frames $1 million check; panic in accounting. As is the case with other legendary figures, many stories about Henderson were invented to delight Rickey fans. On ESPN’s “Mike & Mike” show in 2009, the man himself checked in to confirm or deny several tales in circulation, and it turns out one of the most entertaining ones is true. 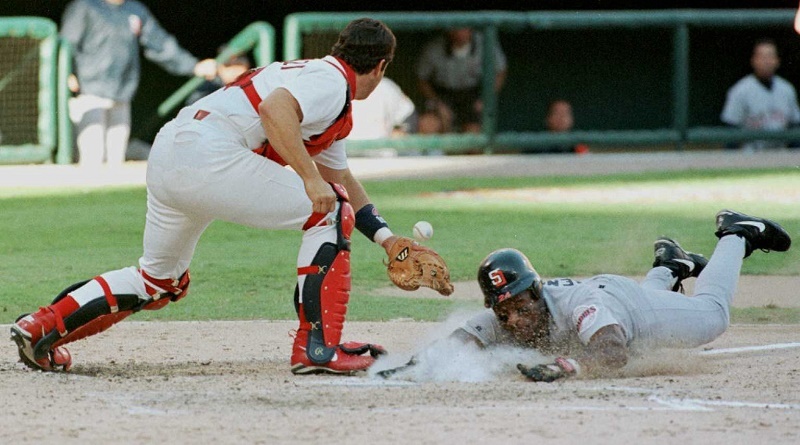 It dates back to Rickey’s days with the Padres (1996 and part of 1997). San Diego’s owner had given Henderson a check for $1 million as a bonus, but instead of depositing it in the bank, Rickey framed it and hung it on the wall. He said he liked reminding himself he had achieved his dream of becoming a millionaire. The Padres accounting department went into a panic over the “missing” million bucks, eventually calling Rickey only to discover it was on his wall. The Padres rep suggested he make a copy and hang that on the wall but take the original to the bank so he could actually get the money. 3. Rickey slides home for the runs record. Some moments in baseball history seem perfect, somehow preordained. Ted Williams homered in his last at-bat; Wade Boggs hit a home run for his three thousandth hit; and in 2001, Rickey Henderson smacked one out of the park to break the all-time runs scored record held by Ty Cobb. Seeing how Rickey was so often manufacturing his own runs, he took the opportunity to drop a pop-up slide for the record-sealing run. If Cobb were on hand, we’re sure he would have reminded him who was king of runs that day in San Diego. 4. Rickey puts DiMaggio in his place. By 1985, Henderson’s first of five seasons with the Yankees, New York had seen its share of super-sized egos, with Reggie Jackson’s memory still fresh in the minds of reporters and fans alike. 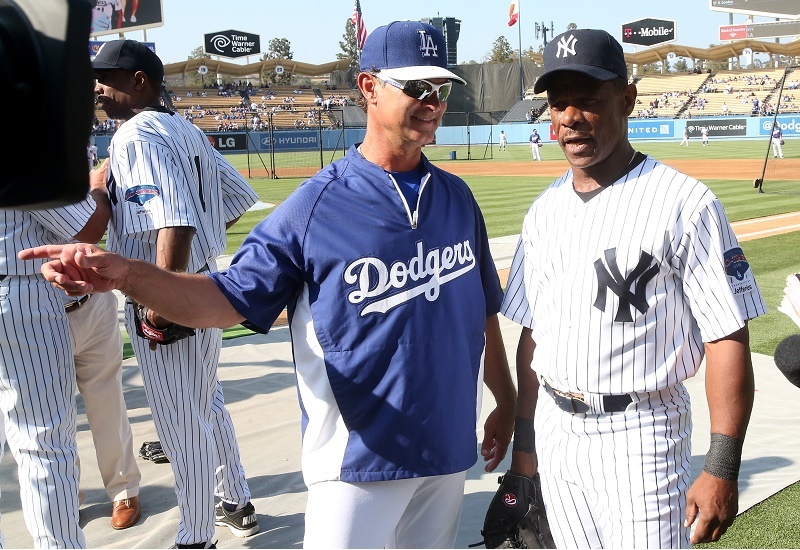 In fact, Jackson offered advice to Rickey before his move to the Big Apple, suggesting he keep a low profile because of the media’s habit of blowing things out of proportion. At spring training, reporters found Rickey walking around the clubhouse in silver spandex shorts (another bit of Reggie advice) and trying to remain low-key. Because of an ankle injury, Henderson stayed on in Florida while the team bumbled through the first weeks of the season. When Rickey finally arrived in the Bronx, New York reporters were ready to pounce, asking the high-priced star what he thought of patrolling the grounds of past Yankees greats. “I don’t care about them,” Henderson told the Hartford Courant in 1985. “I never saw DiMaggio and Mantle play. It’s Rickey time.” (The reporter wrote he expected a thunderbolt to immediately strike Henderson.) With Don Mattingly putting up an MVP campaign that same year, it also began one of baseball’s great odd couples, and eventually yielded a great quote from Donnie Baseball on Rickey’s punctuality. 5. Rickey is thwarted on the comeback trail. The Hall of Fame was ready for Rickey as soon as he would retire and wait the five years to enter. Unfortunately, retiring was still not an option for Henderson as late as 2005. Despite the fact he hadn’t made a big-league club since 2003, Rickey continued operating in the bowels of the minors in hopes of getting another shot at The Show. His efforts were chronicled in a New Yorker piece at the time (subscription required). Soon both writer and Rickey were being removed by law enforcement with the Arizona game hanging in the balance. When officers wanted to know who the writer was deboarding with him, Henderson gave them the answer. “That’s my biographer and lawyer,” he said. Rickey never played Major League Baseball again. In 2009, he entered the Hall of Fame on the first ballot, the 44th player in history to do so at the time. All statistics courtesy of Baseball-Reference.